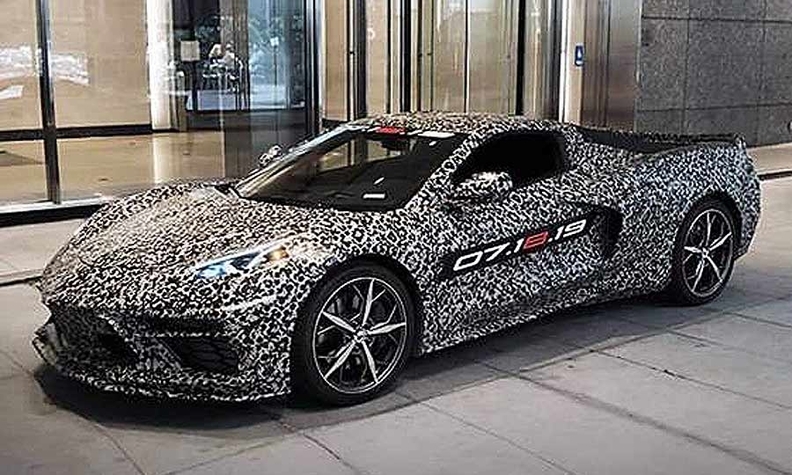 A camouflaged version of the next-gen Chevrolet Corvette posted on GM President Mark Reuss' Facebook page late Thursday. General Motors' Chevrolet division will unwrap the next-generation Corvette, featuring a midengine layout for the first time, in July. While the car has been photographed undergoing road tests for months, it's the first time Chevrolet has confirmed plans for the next-generation of the venerable sports car. GM President Mark Reuss, who also heads the automaker's global product development programs, posted an image of the eighth-generation Corvette -- the C8 -- on his Facebook page late Thursday. Chevrolet said the next-gen Corvette will be revealed on July 18, 2019. GM, Reuss said, is commemorating the 50th anniversary of the launch of Apollo 11, which entered the moon's gravity on July 18, 1969. Two days later, astronauts landed on the moon. 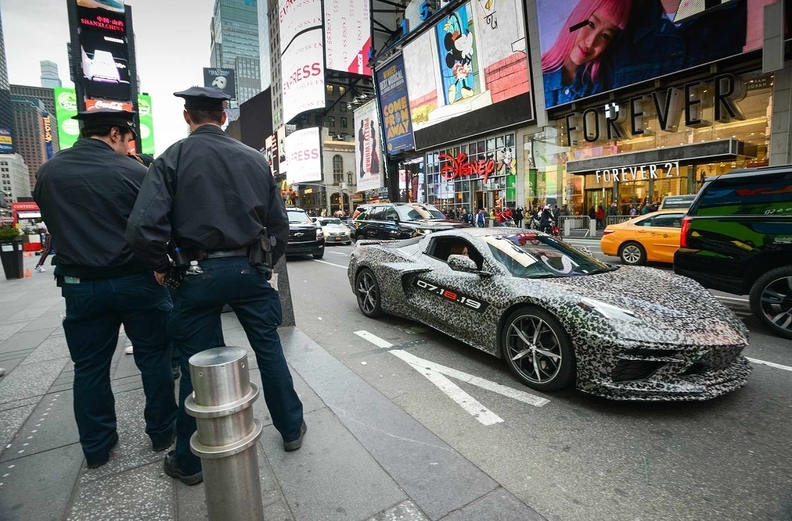 The next-gen Chevrolet Corvette, camouflaged, is driven in New York Thursday with General Motors CEO Mary Barra in the passenger seat. Chevrolet calls the next-generation Corvette "the most anticipated Corvette ever." "It’s the sum of each generation before it," Chevrolet said late Thursday, "but will stand alone as the new standard of performance." 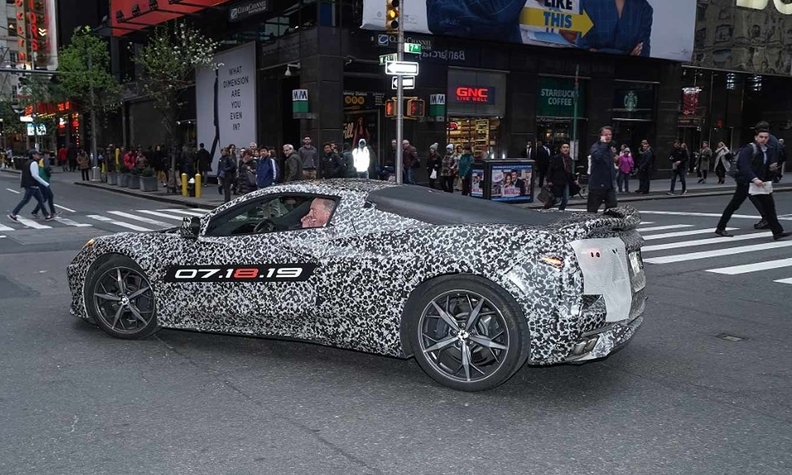 Chevrolet also released several photos of the next Corvette, camouflaged, driving through New York City on Thursday, with General Motors CEO Mary Barra in the passenger seat. GM said the last seventh-generation Corvette -- a black 2019 Z06 model -- will be auctioned off June 28 to benefit charity. Chevrolet Corvette Chief Engineer Tadge Juechter and General Motors CEO Mary Barra in a camouflaged next-generation Corvette in New York on Thursday.